April 1, 2011, 10:38 a.m.
By Mark Coddington @markcoddington April 1, 2011, 10:38 a.m. Putting the Times’ pay plan in place: If you read last week’s review, the first half of this week’s should feel like déjà vu — lots of back-and-forth about the wisdom of The New York Times’ new online pay plan, and some more hand-wringing about getting around that plan. If you want to skip that and get to the best stuff, I recommend Staci Kramer, David Cohn, and Megan Garber. The Times launched its pay system Monday with a letter to its readers (snarkier version courtesy of Danny Sullivan), along with a 99-cent trial offer for the first four weeks and free access for people who subscribe to the Times on Kindle. Times digital chief Martin Nisenholtz gave a launch-day talk to newspaper execs, highlighted by his assertion that the link economy is not a win-win for content producers and aggregators. Meanwhile, the discussion about the paywall’s worth rolled on. You can find a good cross-section of opinions in this On Point conversation with Ken Doctor, the Journal Register’s John Paton, The Times’ David Carr, and NYTClean creator David Hayes. The plan continues to draw support from some corners, including The Onion (in its typically ironic style, of course) and PC Magazine’s Lance Ulanoff. Former Financial Times reporter Tom Foremski and Advertising Age columnist Simon Dumenco both made similar arguments about the value of the plan, with Foremski urging us to support the Times as a moral duty to quality journalism and Dumenco ripping the blogosphere’s paywall-bashers for not doing original reporting like the Times. And though the opposition was expressed much more strongly the past two weeks, there was a smattering of dissent about the plan this week, too — some from the Times’ mobile users. One theme among the criticism was the cost of developing the plan: Philip Greenspun wondered how the heck the Times spent $40 million on planning and implementation, and former Guardian digital head Emily Bell wrote about the opportunity cost of that kind of investment. BNET’s Erik Sherman proposed that the Times should have invested the money in innovation instead. A few other interesting thoughts about the Times’ pay plan before we get to the wall-jumping debate: Media consultant Judy Sims said the plan might actually make the Times more social by providing an incentive for subscribers to share articles on social networks to their non-subscribing friends. Spot.Us’ David Cohn argued that the plan is much closer to a donation model than a paywall and argued for the Times to offer membership incentives. And Reuters’ Felix Salmon talked about how the proposal is changing blogging at the Times. PaidContent’s Staci Kramer said the Times is fighting an uphill battle in the realm of public perception, but that struggle is the Times’ own fault, created by its way-too-complicated pay system. The ethics of paywall jumping: With the Times’ “pay fence” going into effect, all the talk about ways to get around that fence turned into a practical reality. Business Insider compiled seven of the methods that have been suggested: A browser extension, Twitter feeds, using different computers, NYTClean and a User Script’s coding magic, Google (for five articles a day), and browser-switching or cookie-deleting. Mashable came up with an even simpler one: delete “?gwh=numbers” from the Times page’s URL. So we all obviously can crawl through the Times’ loopholes, but should we? A few folks made efforts to hack through the ethical thicket of the Times’ intentional and unintentional loopholes: Times media critic James Poniewozik didn’t come down anywhere solid, but said the Times’ leaky strategy “makes the paywall something like a glorified tip jar, on a massive scale—something you choose to contribute to without compulsion because it is the right thing” — except unlike those enterprises, it’s for-profit. In a more philosophical take, the Lab’s Megan Garber said the ethical conundrum shows the difficulty of trying to graft the physical world’s ethical assumptions onto the digital world. 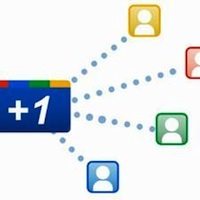 A possible +1 for publishers: Google made a big step in the direction of socially driven search this week with the introduction of +1, a new feature that allows users to vote up certain search results in actions that are visible to their social network. Here are two good explainers of the feature from TechCrunch and Search Engine Land, both of whom note that +1’s gold mine is in allowing Google to personalize ads more closely, and that it’s starting on search results and eventually moving to sites across the web. The feature was immediately compared to Facebook’s “Like” and Twitter’s retweets, though it functions a bit differently from either. As GigaOM’s Mathew Ingram noted, because it’s Google, it’s intrinsically tied to search, which is both an advantage and a disadvantage. As Ingram said, it’s smart to add more of a social component to search, but Google’s search-centricity makes the “social network” aspect of +1 awkward, just as Buzz and Wave were. To paraphrase the argument of Frederic Lardinois of NewsGrange: if your +1’s go into your Google Profile and no one sees them, do they really make a sound? All this seems to be good news for media sites. Lost Remote’s Cory Bergman said that if they essentially become “improve the SEO of this site” buttons, media companies will be pretty motivated to add them to their sites. Likewise, Poynter’s Damon Kiesow reasoned that +1 could be a great way for media sites to more deeply involve visitors who arrive via Google, who have typically been less engaged than visitors from Facebook and Twitter. Shrinking innovation to spur it: This month’s Carnival of Journalism focuses on how to drive innovation, specifically through the Knight News Challenge and Reynolds Journalism Institute. Most of the posts rolled in yesterday, and they contain a litany of quick, smart ideas of new directions for news innovation and how to encourage it. A quick sampling: City University London and Birmingham City University j-prof Paul Bradshaw proposed a much broader, smaller-scale News Challenge fund, with a second fund aimed at making those initiatives scale. J-Lab Jan Schaffer said we need to quit looking at innovation so much solely in terms of tools and more in terms of processes and relationships. British journalist Mary Hamilton and Drury j-prof Jonathan Groves both focused on innovation in training, with Groves proposing “innovation change agents” funded by groups like Knight and the RJI to train and transform newsrooms. Also, University of British Columbia j-prof Alfred Hermida opined on the role of theory in innovation, Lisa Williams of Placeblogger advocated a small-scale approach to innovation, and the University of Colorado’s Steve Outing had some suggestions for the RJI fellowship program. The mechanics of Twitter’s information flow: Four researchers from Yahoo and Cornell released a study this week analyzing, as they called it, “who says what to whom on Twitter.” One of their major findings was that half the information consumed on Twitter comes from a group of 20,000 “elite” users — media companies, celebrities, organizations, and bloggers. As Mathew Ingram of GigaOM observed, that indicates that the power law that governs the blogosphere is also in effect on Twitter, and big brands are still important even on a user-directed platform. The Lab’s Megan Garber noted a few other interesting implications of the study, delving into Twitter’s two-step flow from media to a layer of influential sources to the masses, as well as the social media longevity of multimedia and list-oriented articles. A couple of other research-oriented items about Twitter: a Lab post on Dan Zarrella’s data regarding timing and Twitter posts, and Maryland prof Zeynep Tufekci more theoretical exploration of NPR’s Andy Carvin and the process of news production on Twitter. — New York Times editor Bill Keller wrote a second column, and like his anti-aggregation piece a couple of weeks ago, this piece — about the value of the Times’ impartiality and fact-based reporting — didn’t go over well. Reuters’ Felix Salmon called him intellectually dishonest, Scott Rosenberg called him defensive, and the Huffington Post’s Peter Goodman (a former Times reporter) said Keller misrepresented him. — A few notes on The Daily: Forbes’ Jeff Bercovici said it was downloaded 500,000 times during its trial period and has 70,000 regular users, and a study was conducted finding that it’s more popular with less tech-savvy, less content-concerned users. — Journal Register Co. CEO John Paton talked about transforming newspapers at the Newspaper Association of America convention; he summarized what he had to say in 10 tweets, and Alan Mutter wrote a post about the panel. The moderator, Ken Doctor, followed up with a Lab post looking at how long, exactly, newspapers have left. — I’ll send you off with Jonathan Stray’s thoughtful post on rethinking journalism as a system for informing people, rather than just a series of stories. It’s a lot to chew on, but a key piece to add to the future-of-news puzzle. 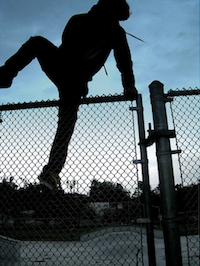 Image of a fence-jumper by like oh so zen used under a Creative Commons license. POSTED April 1, 2011, 10:38 a.m.
Coddington, Mark. "This Week in Review: Navigating the Times’ pay-plan loopholes, +1 for social search, and innovation ideas." Nieman Journalism Lab. Nieman Foundation for Journalism at Harvard, 1 Apr. 2011. Web. 22 Apr. 2019. Coddington, Mark. "This Week in Review: Navigating the Times’ pay-plan loopholes, +1 for social search, and innovation ideas." Nieman Journalism Lab. Last modified April 1, 2011. Accessed April 22, 2019. https://www.niemanlab.org/2011/04/this-week-in-review-navigating-the-times-pay-plan-loopholes-1-for-social-search-and-innovation-ideas/.